On 12 December 1941, “Buzz” Wagner was flying a lone reconnaissance mission over the airfield at Aparri, which had been captured by the invading Japanese. He was attacked by several Zero fighters but he evaded them, then returned and shot down two of them. As he strafed the airfield he was attacked by more Zeros and shot down two more, bringing his score for the mission to four enemy airplanes shot down. On 18 December, Lieutenant Wagner lead a flight of four P-40s to attack the enemy-held airfield at Vigan. He and Lieutenant Russell M. Church strafed and bombed the field while two other P-40s covered from overhead. 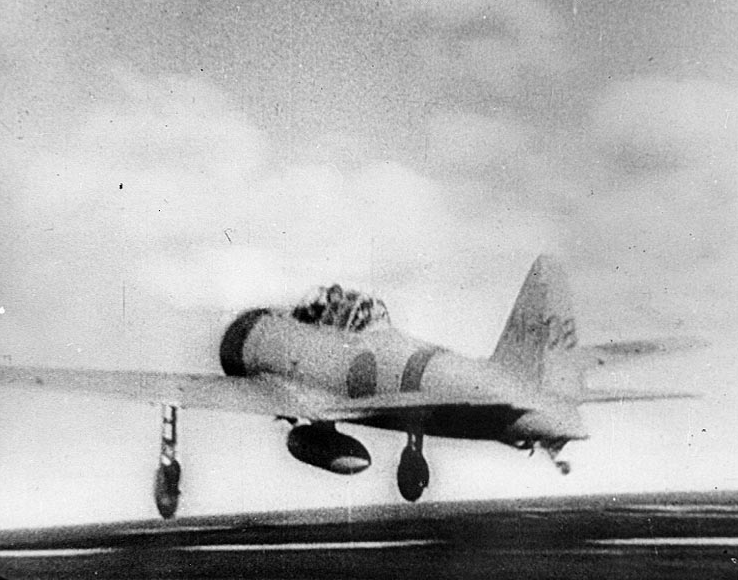 Wagner destroyed nine Japanese aircraft on the ground, but as he passed over the field a Zero took off. Wagner rolled inverted to locate the Zero, then after spotting him, chopped his throttle and allowed the Zero to pass him. This left Wagner in a good position and he shot down his fifth enemy fighter. Lieutenant Church was shot down by ground fire and killed. 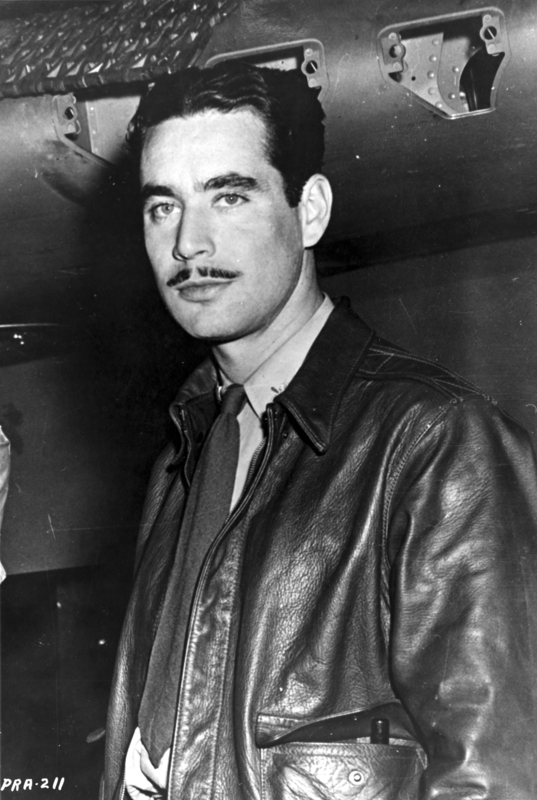 This fifth shoot down made Buzz Wagner the first U.S. Army Air Corps ace of World War II. 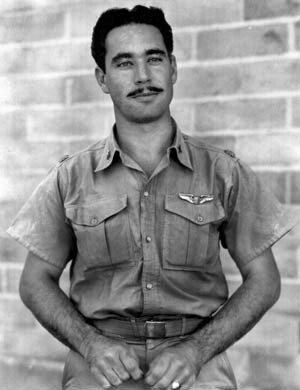 He was awarded the Distinguished Service Cross, the Distinguished Flying Cross, and the Purple Heart for injuries sustained in an air battle, 22 December 1941. He was evacuated to Australia in January 1942. 2nd Lieutenant Boyd D. Wagner, Air Corps, United States Army. Boyd David Wagner was born 26 October 1916 at Emeigh, Pennsylvania. He was the first of two children of Boyd Matthew Wagner, a laborer, and Elizabeth Moody Wagner. After graduating from high school, Wagner enrolled in the University of Pittsburgh, where he majored in aeronautical engineering. After three years of college, Boyd Wagner enlisted as a flying cadet in the U.S. Army Air Corps, at Pittsburgh, Pennsylvania, 26 June 1937. He was commissioned as a Second Lieutenant, Air Corps Reserve, 16 June 1938. Lieutenant Wagner received advanced flight training and pursuit training, and on 1 October 1938 his commission as a reserve officer was changed to Second Lieutenant, Army Air Corps. Wagner was promoted to First Lieutenant, Army of the United States, on 9 September 1940. 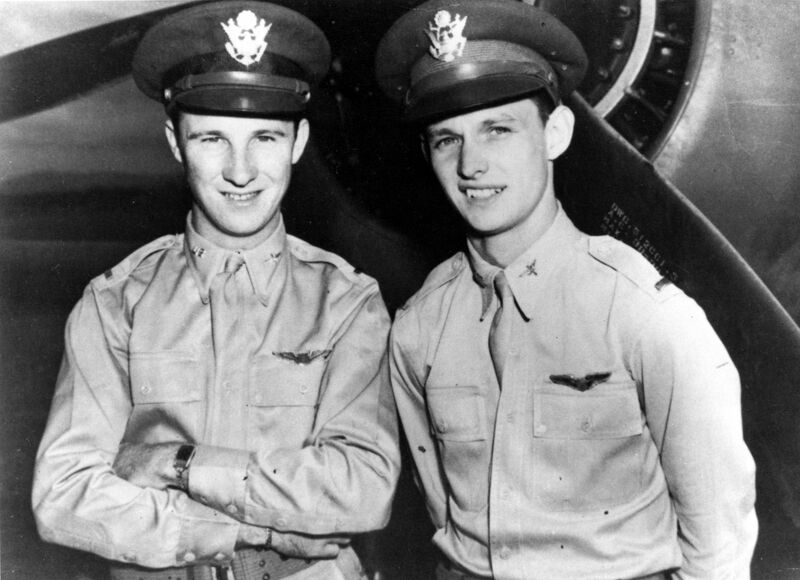 Lieutenant Wagner was assigned to the 24th Pursuit Group in the Philippine Islands, 5 December 1940. Lieutenant Wagner was promoted to the rank of Captain, A.U.S., 30 January 1942. On 11 April 1942, Captain Wagner was again promoted, bypassing the rank of Major, to Lieutenant Colonel, A.U.S. He was assigned to the 8th Fighter Group in New Guinea. On 30 April 1942, while flying a Bell P-39 Airacobra, Wagner shot down another three enemy airplanes. In September 1942, Colonel Wagner was sent back to the United States to train new fighter pilots. On 29 November 1942, Colonel Wagner disappeared while on a routine flight from Eglin Field, Florida, to Maxwell Field, Alabama, in a Curtiss-Wright P-40K Warhawk, 42-10271. Six weeks later, the wreck of his fighter was found, approximately 4 miles north of Freeport, Florida. Lieutenant Colonel Boyd David Wagner, United States Army Air Corps, had been killed in the crash. His remains are buried at Grandview Cemetery, Johnstown, Pennsylvania. 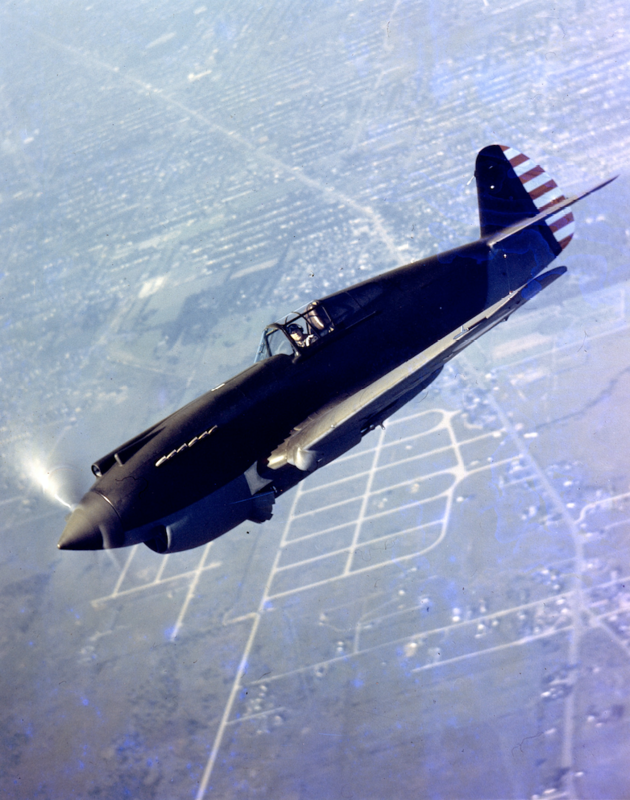 The Curtiss-Wright Corporation Hawk 81B (P-40B Warhawk) was a single-seat, single-engine pursuit. It was a low-wing monoplane of all-metal construction and used flush riveting to reduce aerodynamic drag. It had an enclosed cockpit and retractable landing gear. Extensive wind tunnel testing at the NACA Langley laboratories refined the airplane’s design, significantly increasing the top speed. The P-40B Warhawk was 31 feet, 8¾ inches (9.671 meters) long, with a wingspan of 37 feet, 4 inches (11.379 meters) and overall height of 10 feet, 7 inches (3.226 meters). Its empty weight was 5,590 pounds (2,536 kilograms), and 7,326 pounds (3,323 kilograms) gross. The maximum takeoff weight was 7,600 pounds (3,447 kilograms). The P-40B was powered by a liquid-cooled, supercharged, 1,710.597ubic-inch-displacement (28.032 liter) Allison Engineering Co. V-1710-C15 (V-1710-33), a single overhead cam (SOHC) 60° V-12 engine, which had a Continuous Power Rating of 930 horsepower at 2,600 r.p.m., from Sea Level to 12,800 feet (3,901 meters), and 1,150 horsepower at 3,000 r.p.m. to 14,300 feet (4,359 meters) for Take Off and Military Power. The engine drove a three-bladed Curtiss Electric constant-speed propeller through a 2:1 gear reduction. The V-1710-33 was 8 feet, 2.54 inches (2.503 meters) long, 3 feet, 5.88 inches (1.064 meters) high, and 2 feet, 5.29 inches (0.744 meters) wide. It weighed 1,340 pounds (607.8 kilograms). Heavier than the initial production P-40, the P-40B was slightly slower, with a maximum speed of 352 miles per hour (567 kilometers per hour) at 15,000 feet (4,572 meters). It had a service ceiling of 32,400 feet (9,876 meters). Its range was 730 miles (1,175 kilometers). 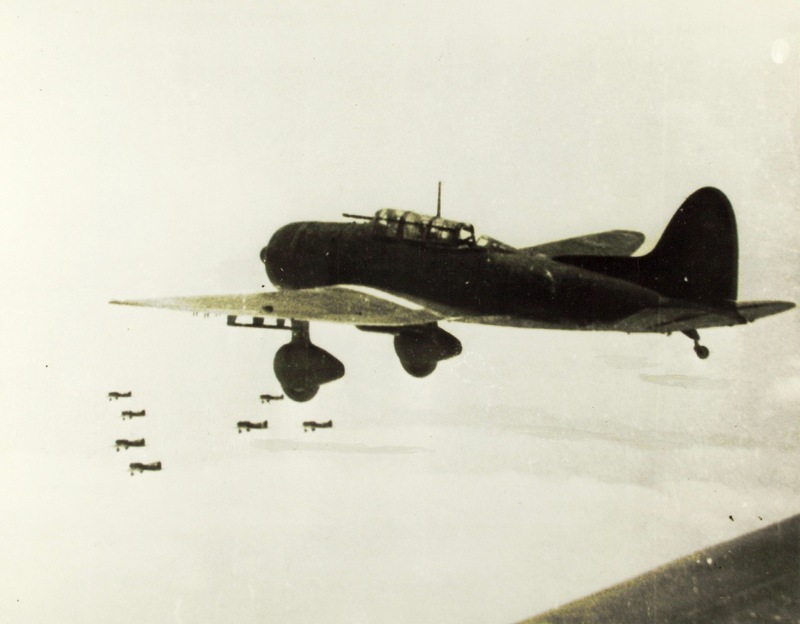 Armament consisted of two air-cooled Browning AN-M2 .50-caliber machine guns mounted in the cowling and synchronized to fire forward through the propeller arc, with 380 rounds of ammunition per gun, and four Browning AN-M2 .30-caliber aircraft machine guns, with two in each wing. 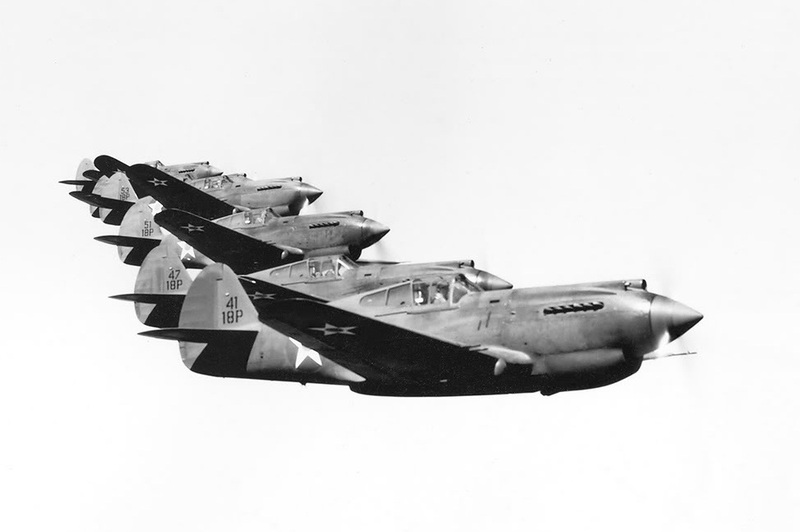 Curtiss-Wright produced 13,738 P-40s between 1939 and 1944. 131 of those were P-40B Warhawks. 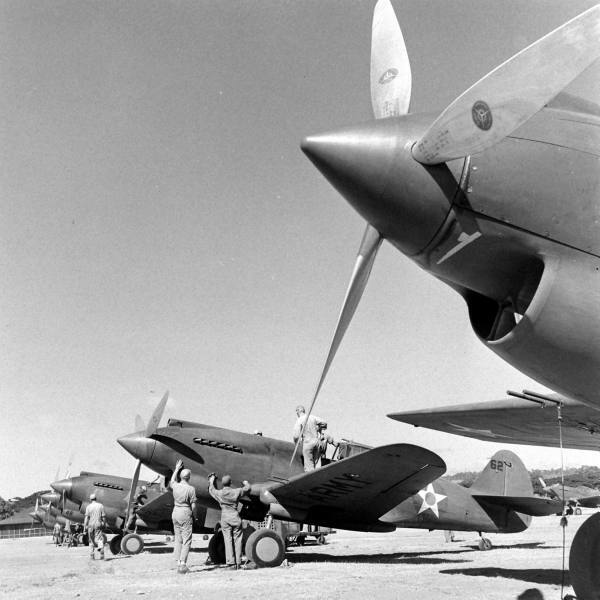 ¹ The Warhawk in the photograph may be P-40C 41-13471, s/n 16351. 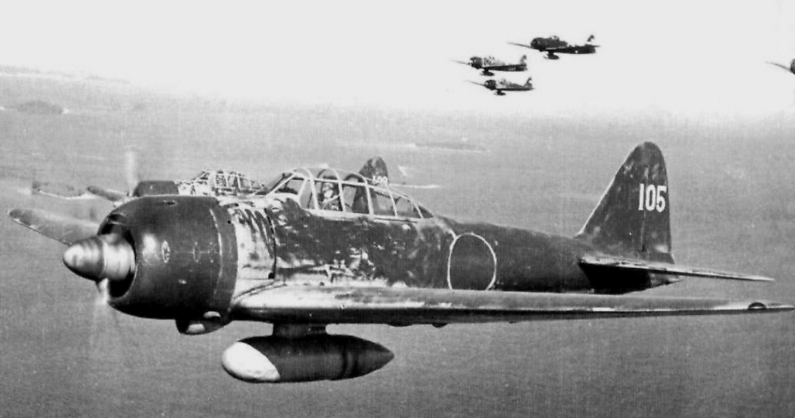 On the morning of December 7, 1941, very few American fighter pilots were able to get airborne to fight the Japanese attackers. Ken Taylor and George Schwartz were two of them. Second Lieutenants Kenneth Marlar Taylor and George S. Welch took two Curtiss-Wright P-40B Warhawk fighters from a remote airfield at Haleiwa, on the northwestern side of the island of Oahu, and against overwhelming odds, each shot down four enemy airplanes: Welch shot down three Aichi D3A Type 99 “Val” dive bombers and one Mitsubishi A6M2 Type 0 (“Zero”) fighter. 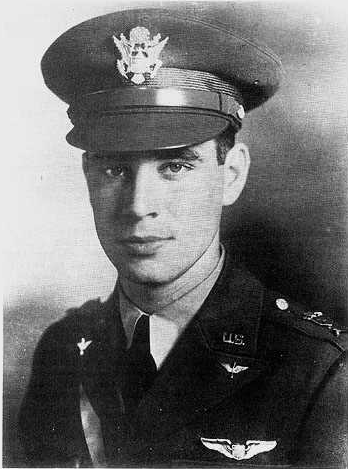 Taylor also shot down four Japanese airplanes. 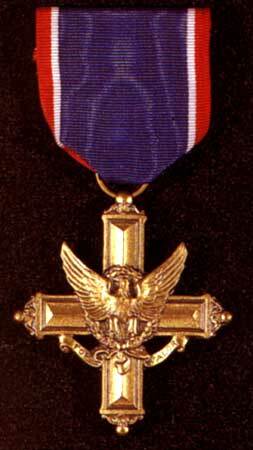 Although both officers were nominated for the Medal of Honor by General Henry H. (“Hap”) Arnold, they were awarded the Distinguished Service Cross. During the War, Welch flew the Bell P-39 Airacobra and Lockheed P-38 Lightning on 348 combat missions. He had 16 confirmed aerial victories over Japanese airplanes and rose to the rank of Major. 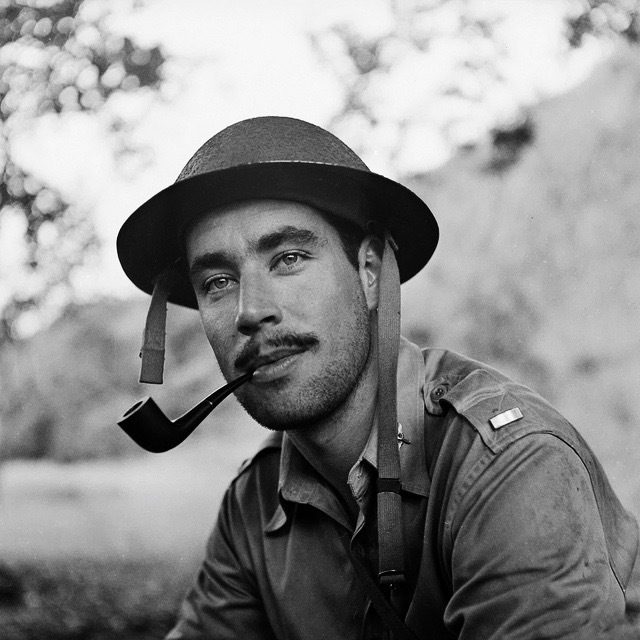 Suffering from malaria, George Welch was out of combat and recuperating in Australia. When North American Aviation approached General Arnold to recommend a highly experienced fighter pilot as a test pilot for the P-51H Mustang, Arnold suggested Welch and authorized his resignation from the Air Corps. George Welch tested the P-51H, XP-86 Sabre and YF-100A Super Sabre for North American Aviation. Reportedly, while demonstrating the F-86 Sabre’s capabilities to Air Force pilots during the Korean War, he shot down as many as six MiG 15s. George Welch was killed while testing a F-100A Super Sabre, 12 October 1954. Ken Taylor scored two more victories at Guadalcanal before wounds received in an air raid sent him back to the United States. He remained in the Air Force until he retired in 1971 with the rank of Brigadier General. He died in 2006. 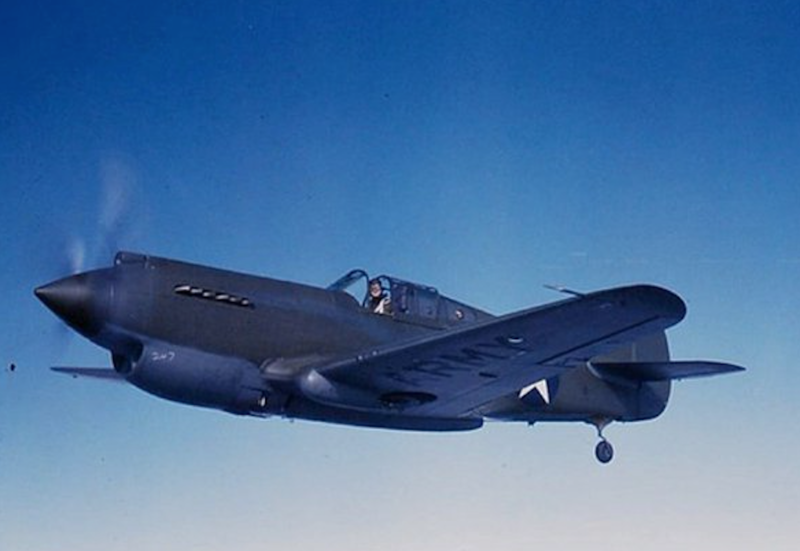 The Curtiss-Wright Corporation Hawk 81B (P-40B Warhawk) was a single-seat, single-engine pursuit. It was a low-wing monoplane of all-metal construction, and used flush riveting to reduce aerodynamic drag. It had an enclosed cockpit and retractable landing gear. Extensive wind tunnel testing at the NACA Langley laboratories refined the airplane’s design, significantly increasing the top speed. The P-40B Warhawk was 31 feet, 8¾ inches (9.671 meters) long, with a wingspan of 37 feet, 4 inches (11.379 meters). Its empty weight was 5,590 pounds (2,536 kilograms), and 7,326 pounds (3,323 kilograms) gross. The maximum takeoff weight was 7,600 pounds (3,447 kilograms). The P-40B was powered by a liquid-cooled, supercharged, 1,710.60-cubic-inch-displacement (28.032 liter) Allison Engineering Co. V-1710-C15 (V-1710-33), a single overhead cam (SOHC) 60° V-12 engine, which produced 1,040 horsepower at 2,800 r.p.m., and turned a three-bladed Curtiss Electric constant-speed propeller through a 2:1 gear reduction. The V-1710-33 was 8 feet, 2.54 inches (2.503 meters) long, 3 feet, 5.88 inches (1.064 meters) high, and 2 feet, 5.29 inches (0.744 meters) wide. It weighed 1,340 pounds (607.8 kilograms). Heavier than the initial production P-40, the P-40B was slightly slower, with a maximum speed of 352 miles per hour (567 kilometers per hour) at 15,000 feet (4,572 meters). It had a service ceiling of 32,400 feet (9,876 meters) and range of 730 miles (1,175 kilometers). 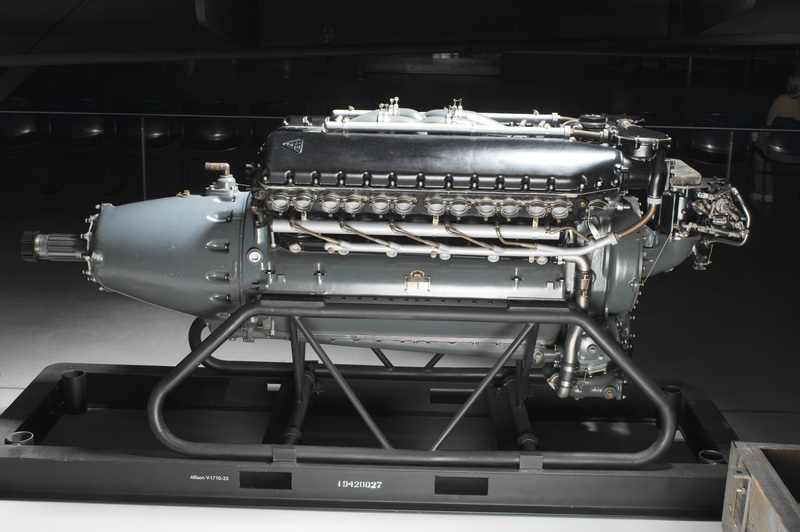 Armament consisted of two air-cooled Browning AN-M2 .50-caliber machine guns mounted in the cowlingabove the engine and synchronized to fire forward through the propeller arc, with 380 rounds per gun, and four Browning M2 .30-caliber aircraft machine guns, with two in each wing.